Design: BiTorsion for long service life, diamond-coated for secure screw fit. Wera BDC Bits have a softer BiTorsion zone which reduces the hardness of the shaft by about 20% in comparison to the drive tip. 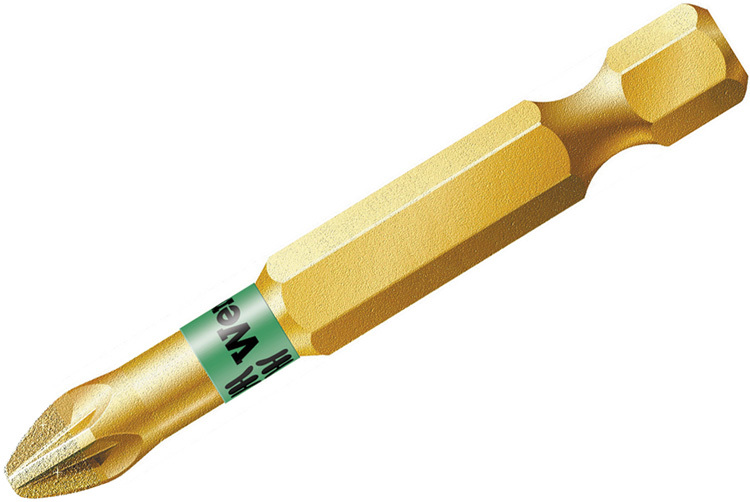 Wera Pozidriv bits permit the transfer of high torque loads and have a distinctively long service life. The 05059904001 Wera 855/4 BDC 1/4'' Pozidriv Power Drive Bit is one of thousands of quality tooling products available from MRO Tools. Please browse Wera 1/4'' Pozidriv Power Drive Bits for tools similar to the 05059904001 Wera 855/4 BDC 1/4'' Pozidriv Power Drive Bit. 05059904001 Wera 855/4 BDC 1/4'' Pozidriv Power Drive Bit description summary: Wera 855/4 BDC 1/4'' Pozidriv Power Drive Bit. Point Size: PZ 3 Shank Overall Length: 50mm / 2'' Quantity discounts may be available for the 05059904001 Wera 855/4 BDC 1/4'' Pozidriv Power Drive Bit. Please contact MRO Tools for details.